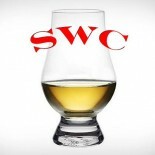 A good whiskey connoisseur is able to relate his/her hobby to most people. And this skill has little to do with writing a well phrased review, but rather it has more to do with telling good stories about a special pour you had in the past or sharing some unique memory closely associated with a magical glass. Today’s review of Knob Creek Kentucky Straight Bourbon is a fun one for me, as the evocation of memory is strong with every sip. Nose- Initial classics of vanilla, toffee, caramel. Corn. Opens up with some clove, brown sugar and citrus peel. Plenty of oak with time. Lovely! Taste- Oaky taste with some vanilla. Spice. Black pepper. Big and oily, smoldering. Finish- That big charred oak feel at first. Lingering vanilla, but mostly dry, bitter effect. Not enough to deter another sip. Pleasant, medium length. Comments – Great bourbon sipper, very approachable, but very weighty due to a bit of over aging. Taste and finish do not quite match the heights of the nose, but still a go to. Recommended.